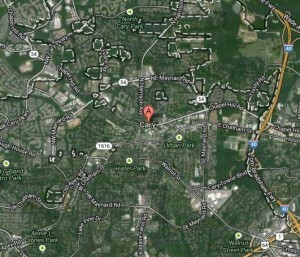 Everett Tree Service offers tree services and removal in Cary, NC, including zip codes 27511, 27512, 27513, 27518 and 27519. Cary residents have relied on Everett for years for their tree removal and services because we are always professional and leave your yard in just as good of condition as when we found it. Our tree removal services are completed in a timely manner with the right equipment, team, knowledge and experience. Cary residents are unique in that they live in a community with many benefits, such as proximity to Raleigh, RTP and the Triangle area. Residents live in a safe and nationally recognized area for neighborhoods and a sense of community and businesses thrive in a myriad of industries. Everett Tree Service is a fully insured tree service company, so you can rest assured that you are protected from any damages that may occur as a result of your tree removal and tree service in Cary. When you hire Everett, you will have the option of adding on services such as stump grinding and removal, which keeps your yard free from unsightly stumps. Contact us or call (919) 271-6108 today for a free estimate.